Rustic texture, refined craftsmanship and solid staved doors that create a textural pattern that is orderly and unexpected. Shadows create new patterns from different angles and give the Timber Sideboard it’s natural character. Description: Rustic texture, refined craftsmanship and solid staved doors that create a textural pattern that is orderly and unexpected. Shadows create new patterns from different angles and give the Timber Sideboard it’s natural character. Pairs well with our custom Arenal area rug. 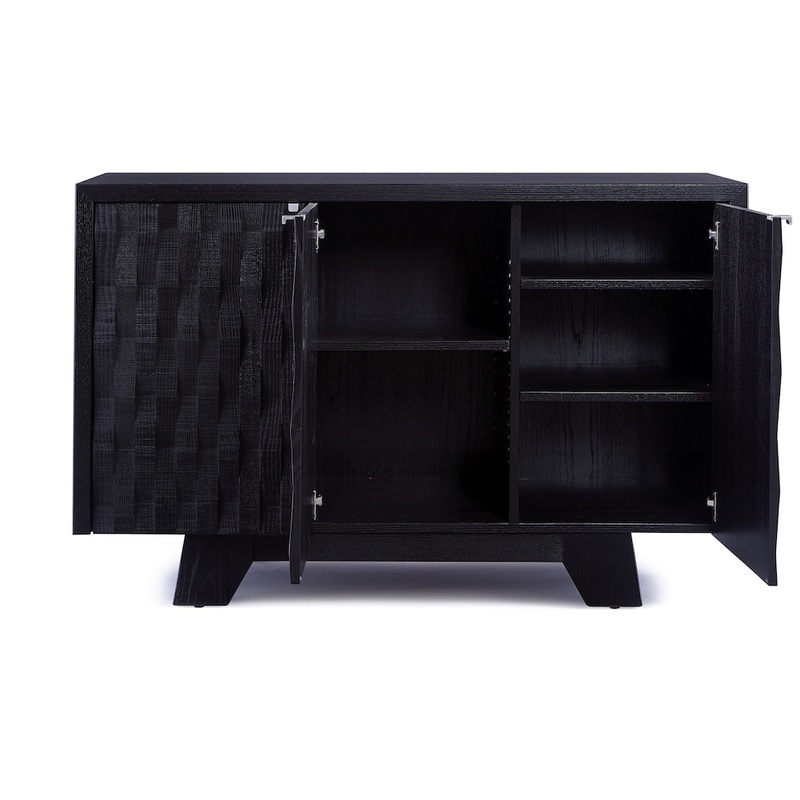 A three door Sideboard configuration featuring a textured staved door design. Selected North American solid woods & veneer construction with finished back, and polished aluminum pulls.